Started by a tradesman with a dream, this company has grown up to take on some of northern Illinois’ toughest roofing challenges. See how this company has built a name for itself. 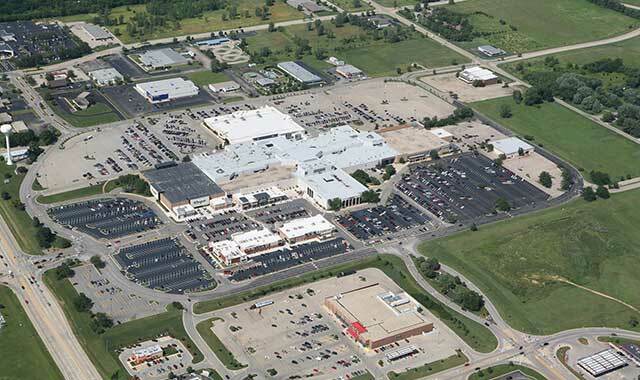 Olsson Roofing has served many large commercial properties, including those of manufacturers, hospitals, municipalities, and shopping malls, such as Rockford’s CherryVale Mall, pictured above. It takes plenty of hard work and a little luck for any company to reach 100 years in business. No one knows that better than Olsson Roofing Company Inc., a commercial and industrial roofing and architectural metal contractor that works with a number of public and private entities including school districts, manufacturers, distributors, hospitals, shopping malls, property management firms and municipalities. In 1914, tradesman Nils Olsson had a dream to start his own company. He decided to open a roofing business, which he successfully ran for more than 30 years. In the late 1940s, Olsson sold the company to one of his employees, William Glenn, who eventually turned the company over to his son, Bill Glenn. In the 1970s, Olsson Roofing took advantage of growth in the western Chicago suburbs, focused on commercial and industrial projects, and built relationships with some of the biggest names in the roofing business including Carlisle, Firestone and Johns Manville. Olsson roofed many large schools, office buildings, retail and commercial properties throughout the Chicago area. In 2003, Bill Glenn sold the business to four employees – Bill Lynch, Jeff Thompson, Mike Herlihy and Gil Larson – knowing they would continue the vision of the company’s founders. The new owners formed a minority employee stock ownership plan (ESOP), so that employees could share in the company’s success. Olsson, headquartered in Aurora, employs more than 250 employees who work in new construction, re-roof, service and maintenance, and architectural metal divisions. The company and its employees are licensed, certified and held in the highest regard with many major manufacturers. Olsson Roofing is one of the largest union roofing contractors in the Midwest. In 2011, Olsson Roofing further expanded with the acquisition of Metal Edge Inc., located in Chicago Heights, which diversified its business into a full-service roofing, architectural metal and composite wall panel contractor. Among its most notable projects are CherryVale Mall, Janesville Mall, Lowe’s Distribution Center, Ingersoll, and Sherman Hospital. Over a nine-year period, Olsson Roofing replaced all of the roofs on the True Value Distribution Center in Harvard, a 4 million square-foot building. The Lowe’s Distribution Center in Rockford is 1.5 million square feet. Mark Peterson, general manager of CherryVale Mall, has worked with Olsson Roofing for the past 10 years on everything from major roof projects to repairing leaks at the 1 million square-foot mall. Peterson praises the roofing company not only for its expertise but its quality and professionalism. Another key to Olsson’s success has been its ability to adapt to changes within both the economy and the industry. One of the growing areas of the company is its service and maintenance department. What started as a support system for the re-roofing and new construction areas 20 years ago has become a vital entity that’s responsible for extensive renovation and rehabilitation work throughout the Chicago, Rockford and southern Wisconsin areas. Olsson Roofing has received numerous awards for its work over the years, including Safety Contractor of the Year from the Chicago Roofing Contractors Association. Last year, Olsson Roofing received the 2014 Firestone Master Contractor, President’s Club, Inner Circle of Quality and Platinum Council Awards, four of Firestone’s most distinguished commercial roofing awards. It’s also a perennial recipient of Carlisle’s ESP and Top 100 awards. Among all award recipients, only 25 firms nationwide earned every program distinction. It was the 21st time Olsson Roofing has earned the Firestone Master Contractor Award and the 16th time it received the Firestone President’s Club Award and Firestone Inner Circle of Quality. This entry was posted on Wednesday, January 28th, 2015 at 11:59 am	and is filed under Northwest Business Magazine. You can follow any responses to this entry through the RSS 2.0 feed. Both comments and pings are currently closed.